From the Emerald City to New York City, this 14-day rail vacation shows off the best of the northern U.S. Beginning on the shores of Puget Sound, explore the beautiful city of Seattle at leisure, with ample time to visit signature sights such as Pikes Place Market and the Seattle Space Needle. After your stay in the Emerald City travel by Amtrak's Empire Builder east to your next destination, Glacier National Park. 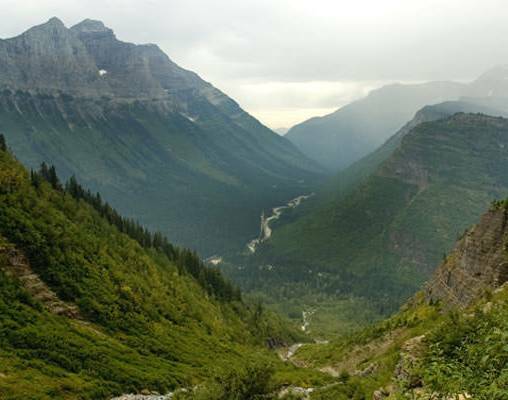 Arrive in Glacier National Park for a 4-night stay, where you will have the opportunity to discover the utter natural beauty that encompasses this park. After fully exploring Glacier, continue your travels by train across the Northern Prairies to Chicago. The Windy City is yours for the taking during your two-night city stay. Popular highlights also include the city's several museums, including the Field Museum and Art Institute, or visiting the several stores alone the Magnificent Mile. Your travels continue aboard Amtrak's Lake Shore Limited as you skirt the Great Lakes on your overnight adventure to the Big Apple, where you will have a few days to take in the sights such as Times Square, Carnegie Hall and the Empire State building, before your great train adventure comes to an end. This vacation is available for travel from New York City to Seattle based on your travel preference. Welcome to Seattle! Upon arrival, transfer on your own to your hotel with the remainder of the day at your leisure. Overnight Seattle. 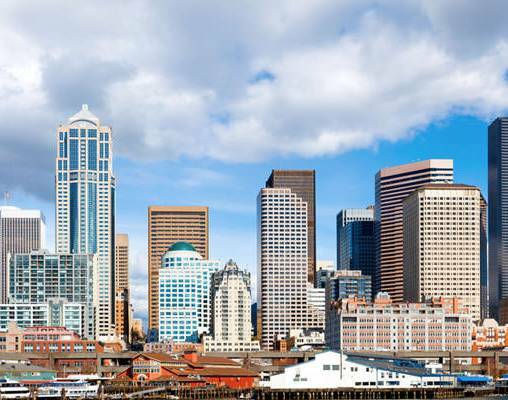 Discover the Emerald City at your own pace with a hop on/hop off city tour. Points of interest include the Space Needle, the waterfront, Pioneer Square and Pike Place Market. Overnight Seattle. The morning is yours to sleep in, do a little shopping, or revisit some of your favorite sights from yesterday's sightseeing excursion throughout the city. Plan to arrive at Seattle's King Street Station mid-afternoon to prepare for your 4:40 pm departure aboard Amtrak's iconic Empire Builder train. Settle into your onboard accommodations and prepare for your overnight journey to Glacier National Park as the train travels past stunning Puget Sound beginning its scenic journey eastward. Overnight train. The Empire Builder arrives in East Glacier Park this morning. 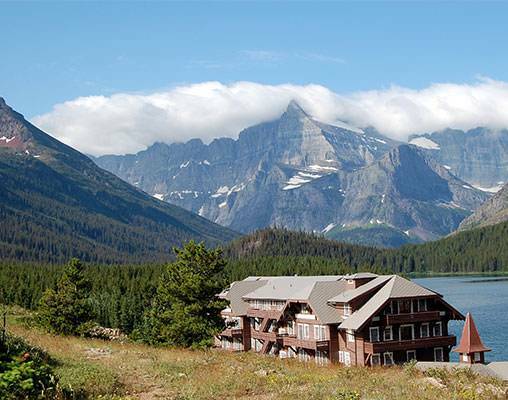 Make your way to the historic Glacier Park Lodge, designed as a Swiss chalet. The day is yours to take advantage of the lodge's many amenities including a beautiful pool and nine-hole golf course. Or, start to explore this much-loved National Park, marveling at its lush forests and rolling alpine meadows. Overnight Glacier Park Lodge. Today's cruise on Swiftcurrent Lake shows off the grandeur of the Crown of the Continent. After a short cruise aboard "Chief Two Guns," take a short walk over the hill to Lake Josephine for a cruise aboard the "Morning Eagle." After this short excursion, spend the day exploring the Park as you like. Overnight Glacier. Explore Glacier National Park aboard a vintage Jammer. Travel over the Going-to-the-Sun Road in these classic red buses, enjoying stunning views from its highest point, Logan Pass. Your excursion takes you through the St. Mary Valley, out to the prairies of Big Sky Country and into the Swiftcurrent Valley. The remainder of the day is at your leisure. Overnight Glacier. Today transfer back to Glacier Park Lodge with a full day at leisure. You may wish to take an optional excursion, or revisit some of your favorite sights within the confines of this 100+-year-old National Park. Overnight Glacier Park Lodge. Depart Glacier National Park this morning and board Amtrak's Empire Builder for your journey east to Chicago. Enjoy panoramic views of the passing scenery from the train's Sightseer Lounge. Overnight train. Today finds the Empire Builder traveling through Minnesota and crossing the Mississippi River into Wisconsin and finally Illinois. Upon your late afternoon arrival in Chicago's Union Station, transfer on your own to your centrally-located hotel with the remainder of the day at your leisure. Overnight Chicago. Spend the day discovering the Windy City's popular sights on a hop on/hop off trolley tour. Highlights include Millennium Park, the Art Institute, Navy Pier, and the John Hancock Observatory among other top attractions. Take time to shop along the Magnificent Mile, enjoy a theater performance, or savor a delicious meal at one of the city's fine restaurants. Overnight Chicago. You have a full day to explore Chicago. 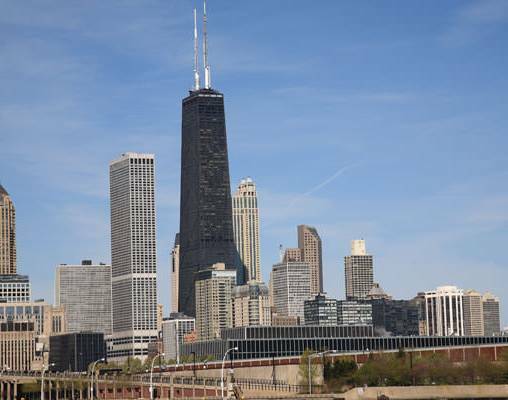 Revisit some of your favorite sights from yesterday's hop on/hop off tour, stroll along the dazzling lakefront, go to the top of the Willis Tower for stunning views of the city and its outlying areas and shop for souvenirs. This evening make your way to Union Station, where you will board Amtrak's Lake Shore Limited for the overnight journey to New York City. Overnight train. When you awake this morning you will be nearing Buffalo. Keep an eye out for historic points of interest during today's journey including Bannerman's Castle, West Point Academy and the National Historic Site dedicated to FDR. One of the most stunning aspects of the trip is the 130-mile stretch along the Hudson River. Pass through New York's capitol city, arriving in the"city that never sleeps" this evening. Transfer on your own to your centrally-located hotel. Overnight New York City. Spend the day exploring Manhattan's most famous sights on your All Loops double-decker bus tour. Hop on and off at more than 30 different points of interest. Highlights include Central Park, Lincoln Center, Radio City, Fifth Avenue, the Metropolitan Museum of Art, the Empire State Building, Greenwich Village, Chinatown, Battery Park and more! Overnight New York City. Your vacation comes to an end this morning. Transfer on your own to the airport or railway station for your return trip home. Hotels include the Warwick Hotel, Glacier Park Lodge, Many Glacier Hotel, Palmer House Hilton, and the Paramount Hotel. Amtrak accommodations are available in Coach class, Roomette, and Bedroom. Coach accommodations include a reclining seat with leg rest. Roomette accommodations include a private cabin featuring two comfortable seats beside a picture window during the day, converting to an upper and lower berth at night. Bedroom accommodations feature a sofa and chair by day, and upper and lower berth by night. Bedroom accommodations also include a sink and self-enclosed toilet and shower. All travelers have access to the Sightseer Lounge. Roomette and Bedroom accommodations include all meals aboard the train. Sleeping car passengers aboard the Empire Builder enjoy meals in the train's Dining car. New contemporary and fresh dining choices replace traditional dining car service on the Lake Shore Limited. Sleeping car passengers may elect to have a chilled prepared meal selection delivered to your Roomette or Bedroom or enjoy meals in a private cafe or lounge car. 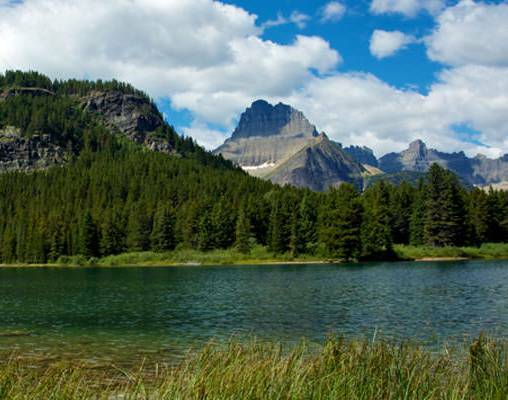 Click here to view testimonials for America Coast to Coast with Glacier National Park. Enter your details below if you would like to be notified when 2020 dates and prices are available for America Coast to Coast with Glacier National Park. Senior discounts are available upon request. Contact a rail specialist for details. * Arrival and Departure times are subject to change. Please be advised that passengers traveling on long-distance trains may encounter delays due to heavy congestion, speed restrictions and other operating conditions. Prices are per person based on double occupancy, tax included. Prices are correct at the time this web page is published; however are subject to change. Itinerary is available in reverse from June 15-September 5. Due to very limited availability at Many Glacier Hotel, hotel substitutions may apply.